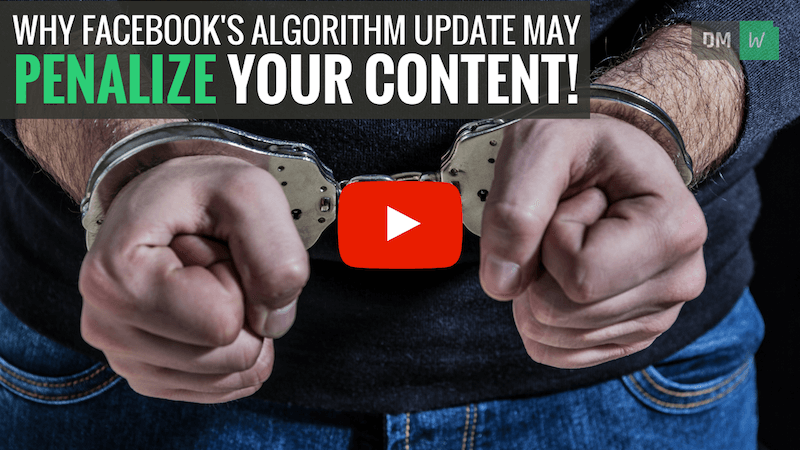 In breaking social media news this week, Facebook has confirmed they’re updating their mobile news feed algorithm so that fewer users will see links to web pages that load slowly. According to Facebook, as much as 40 percent of visitors will abandon a site if it takes more than three seconds to load. So Facebooks mobile app will take into account the estimated load time of a webpage accessed via the News Feed. Factors such as the user’s network connection and the general speed of the linked web page will feed into the algorithm. If the algorithm predicts that the page will load quickly for the user, Facebook says “the link might appear higher in the news feed”. To help ensure that any shared links to your content on Facebook have the best possible chance of being seen, make sure you check out Facebook’s Best Practices to improve mobile site performance here. In SEO news this week, Google has launched new image badges to indicate when there is more information available, and what type of information users can expect to find if they click on a particular image search result. Depending on the image search query, the badges appear in the corner of image thumbnails. They’ll indicate that there is further information available in the form of video content, animated images, recipes, and even products! At the moment the badges are only available in the Google Android app and mobile web searches. While Google isn’t making any promises about when the badges will be displayed, it’s important that your website is using the appropriate structured data tags. Structured data tags help Google bots truly understand what your content is about, and the format it uses. For example, if you're publishing video content on your website, make sure you add this structured data to your page code. This will give your business the best chance of having badges appearing on your Google Image results. For more information on how to insert the structured data tags, head to Google’s blog post here. Social media giant Facebook has announced they are testing new ‘Live’ options in the Facebook Camera and Facebook Stories. The Facebook Camera is built into the Facebook mobile app and includes effects like masks, frames and interactive filters that you can apply to your photos and videos. Some users will now see an option to go “Live” direct from the Facebook Camera. Facebook Stories are small user-generated photo and video collections that can disappear after 24 hours. The “Live” option will allow users to choose their audience for the live broadcast, and even publish the live video in a regular Facebook post in parallel with the Facebook ‘Live’ Story. Facebook hasn't yet set a release date for the new "live" options, but we’ll be sure to let you know as soon as they are available to everyone. If you’re one of the lucky users who is part of the testing, we’d love to hear your thoughts in the comments!